Reading Notes - what are they?! ALSO INCLUDES: large rubber band and bookmark. 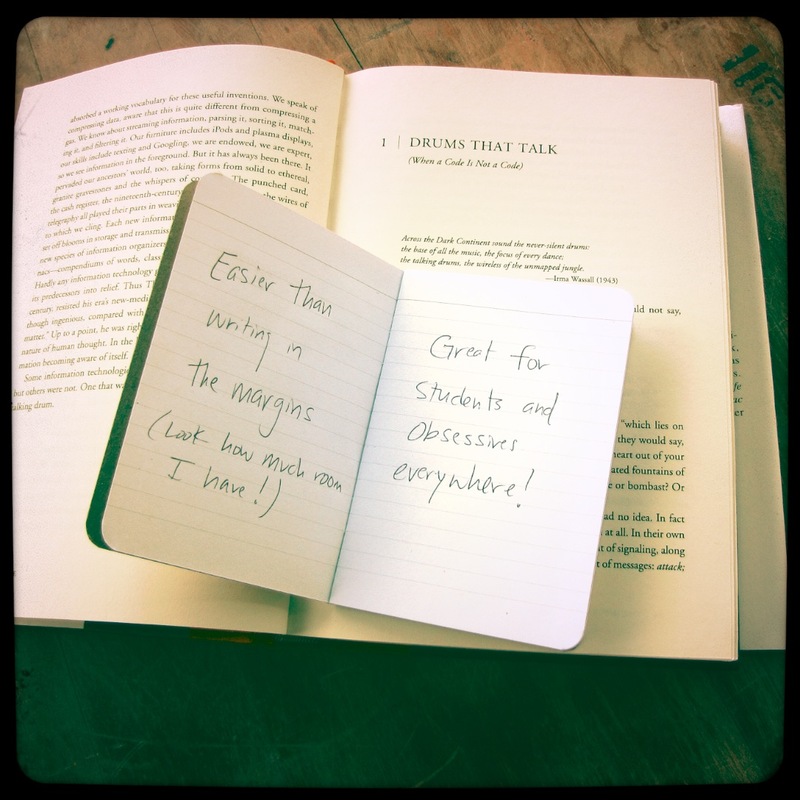 Reading Notes are for book readers who like to jot down thoughts, quotes, and related miscellany while reading. 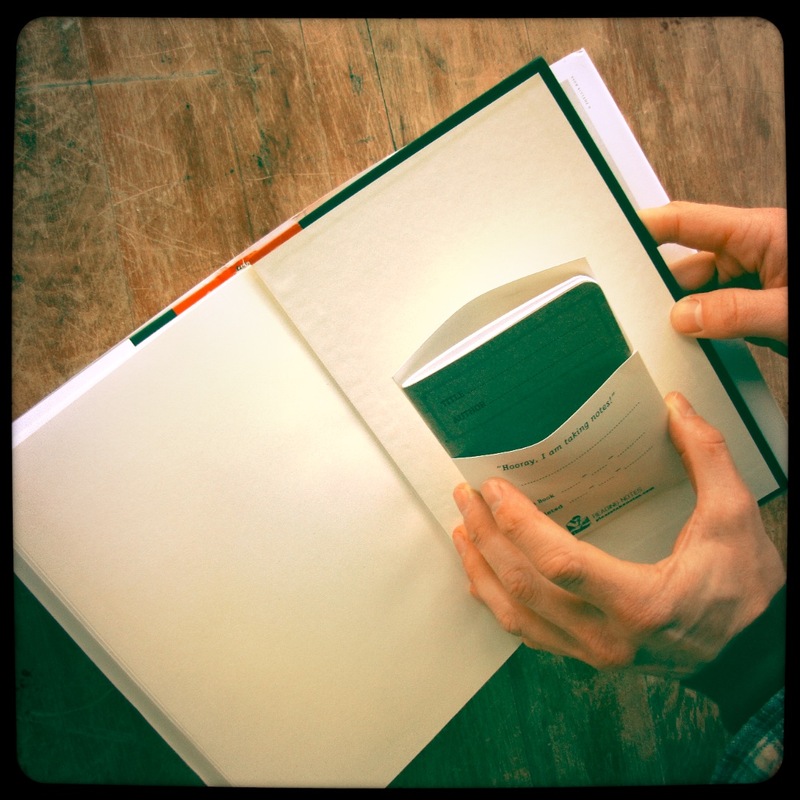 A notebook fits inside an envelope which sticks to the inside cover of the book you are reading. 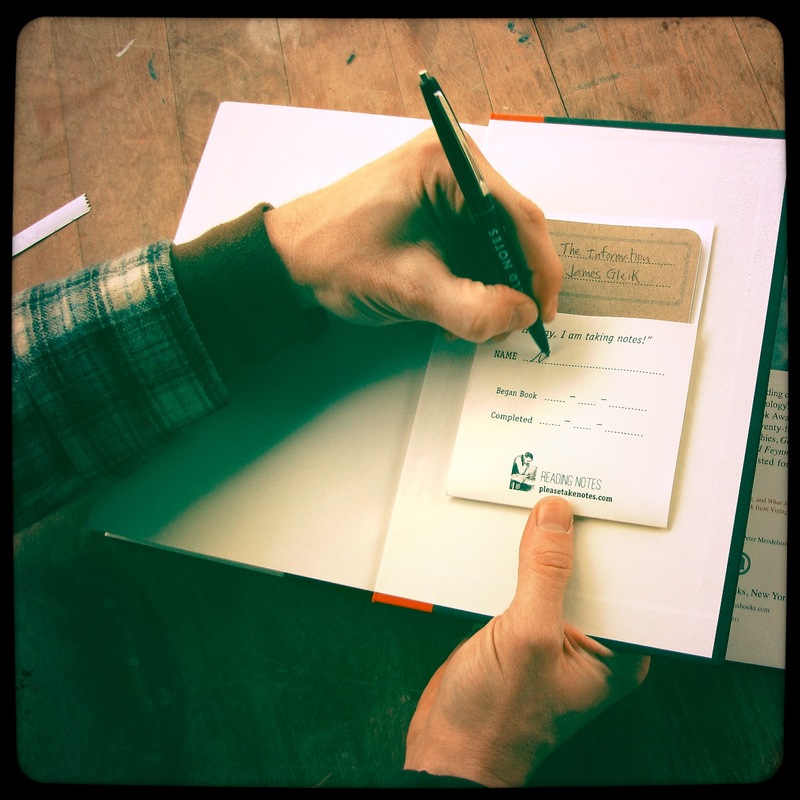 You record important reading data - such as when and where you began and completed the book; your notes will never again be separate from the book that inspired them. All orders shipped the next business day and take like 3 or so days to reach you via the good old USPS. Any questions, send me a message: matthew at youwillnotbelieve dot us. 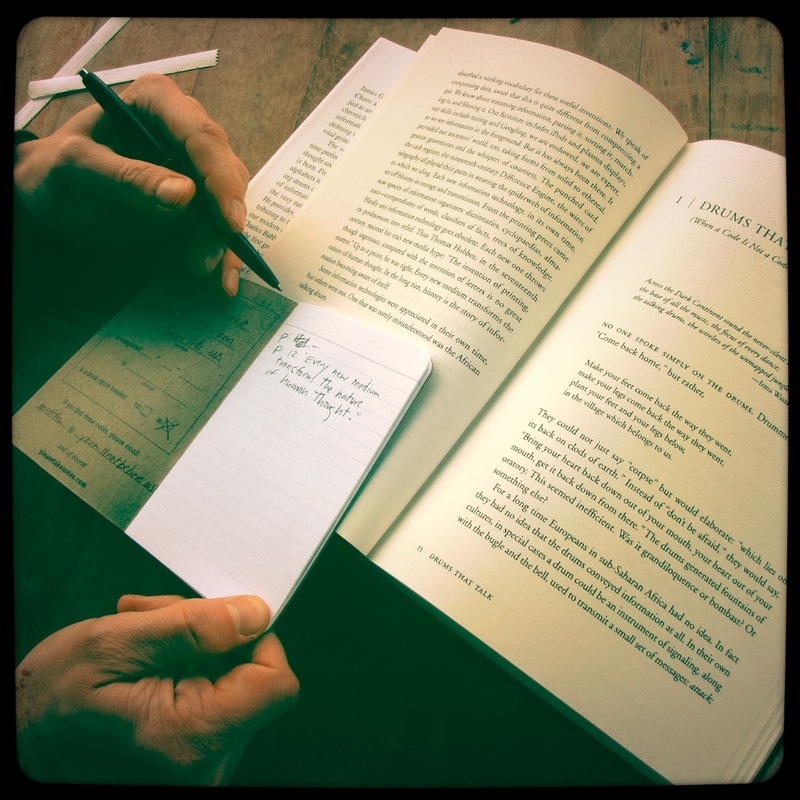 Reading notes plus your book and a pen. 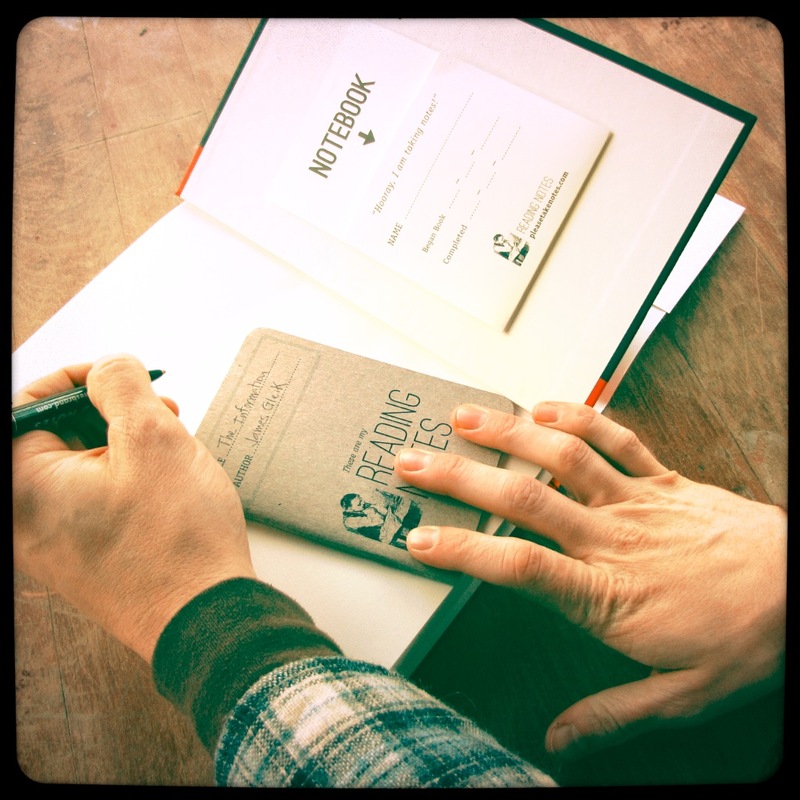 A full reading-note-taking system. 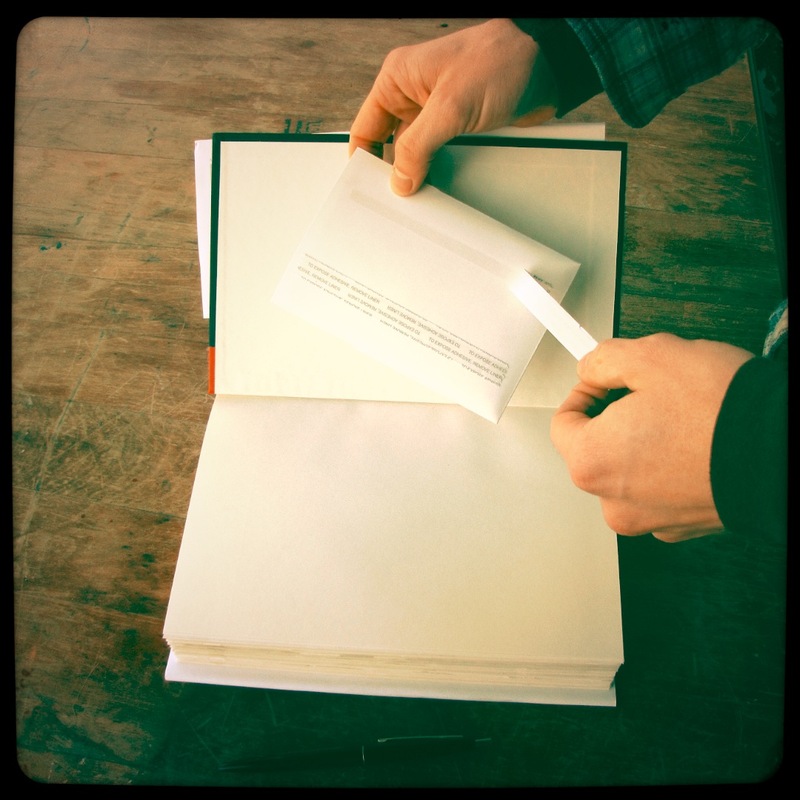 The envelope sticks to the inside cover of your book. Apply the envelope to either the front or back cover. 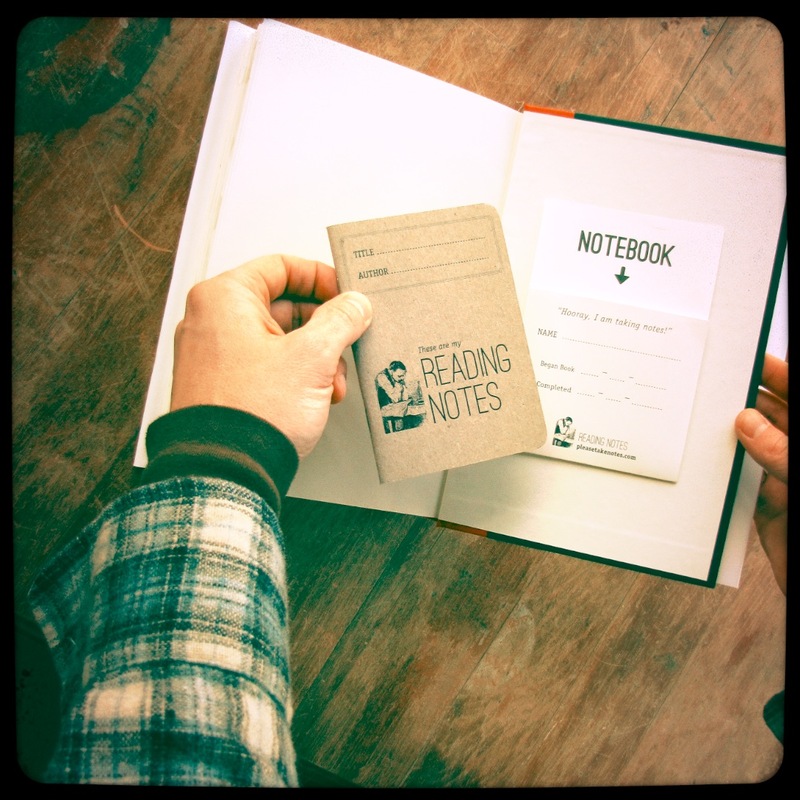 Your book will never be without your notes again. 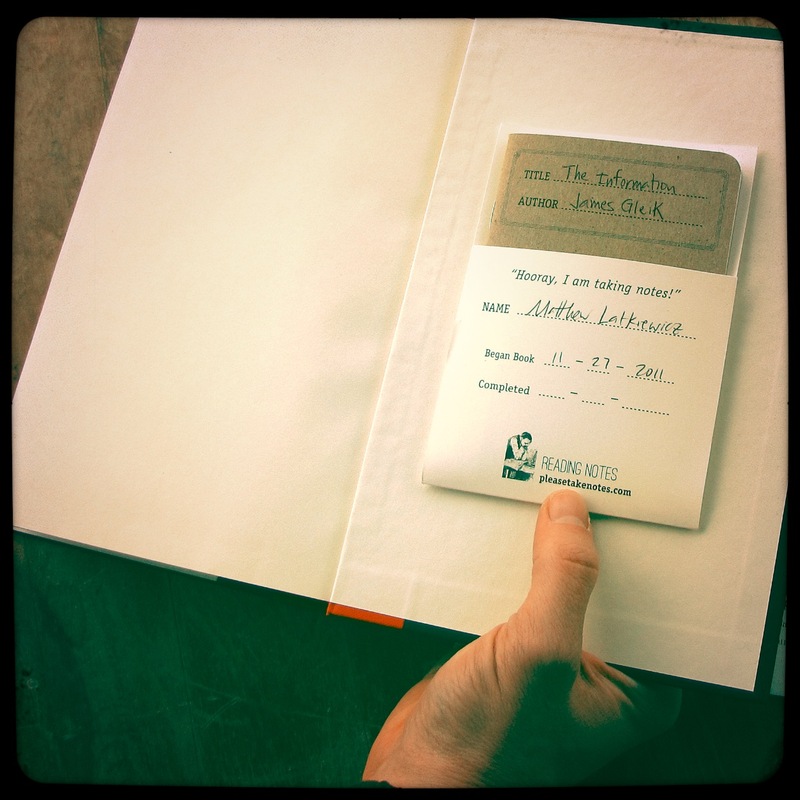 Add personal reading data so you'll remember when and where you read the book. 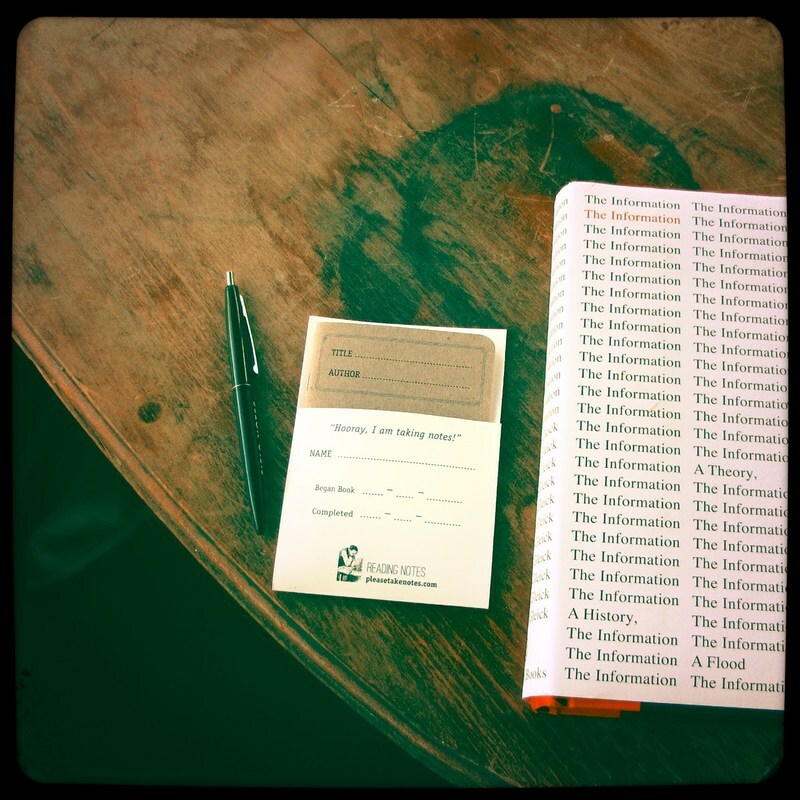 Now you are ready to take notes! Great for students and other obsessives. 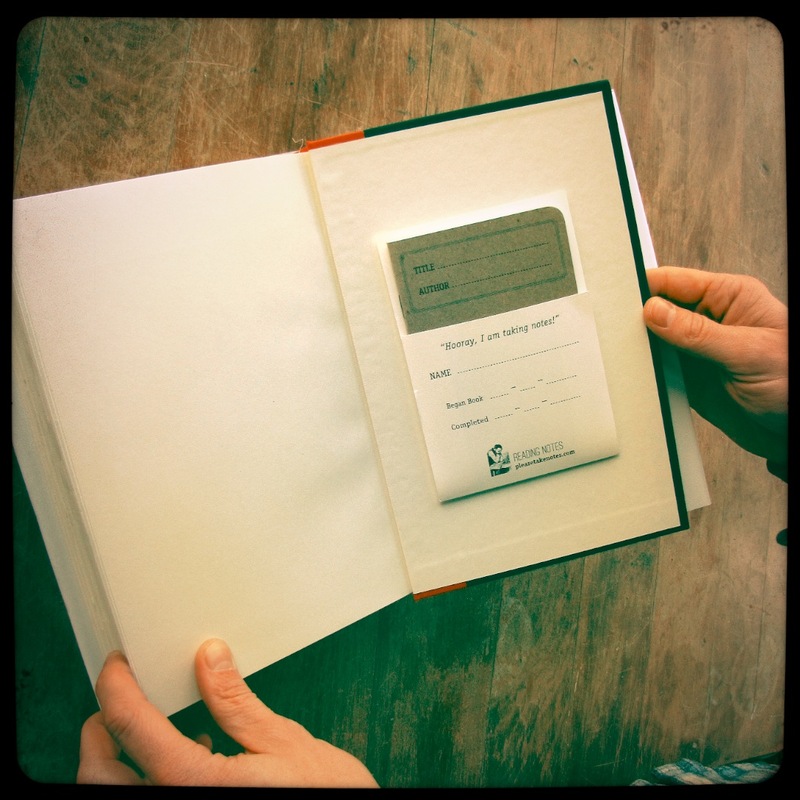 The envelope also serves as a book plate. Reading Notes - please take notes. Now it is your turn. 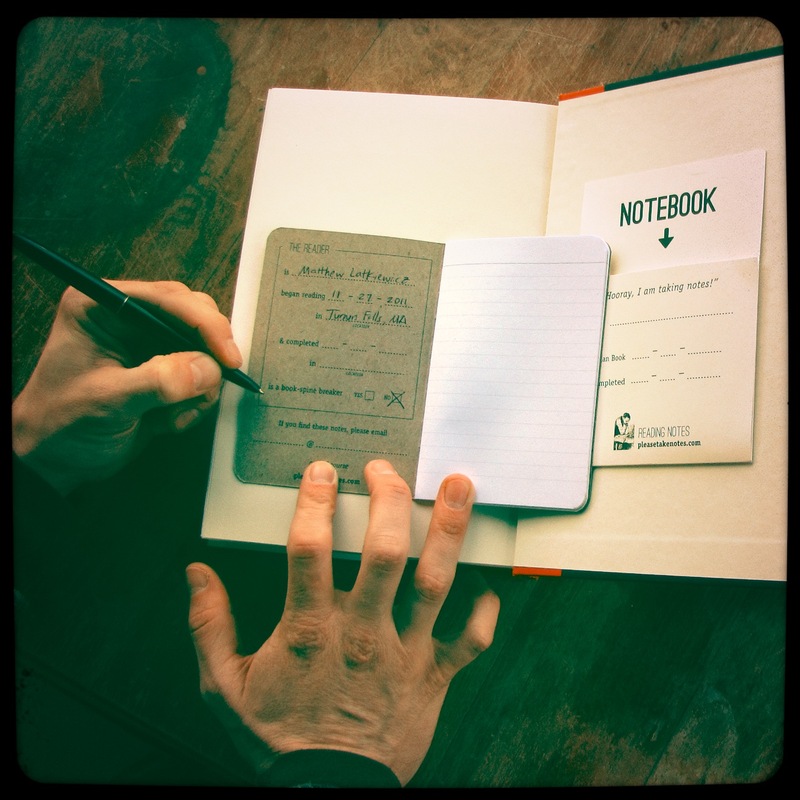 You can buy a set of three notebooks.